Twins fans were shocked when manager Paul Molitor called Fernando Rodney in to pitch in the fifth inning of Sunday&apos;s win over the Tampa Bay Rays. Rodney is the Twins&apos; closer, so he&apos;s generally reserved for the ninth inning and there was no indication prior to the game that Rodney&apos;s role had changed. So what was up with the decision to bring the veteran right-hander in early? It turns out that Rodney had to leave the game early to catch a flight to Miami for an immigration hearing on Monday morning. Rodney made his flight and now he&apos;s officially a U.S. citizen. "After 19 years in this wonderful country today I am blessed to say that I am an official US Citizen," Rodney posted on social media. "Today I fly the American Flag but in my heart always hold my Dominican Flag. I want to thank all those who have been with me throughout the process and especially thank the @twins organizations for allowing me to catch my flight. Big thanks to the @tigers who made this dream possible 19 years ago." 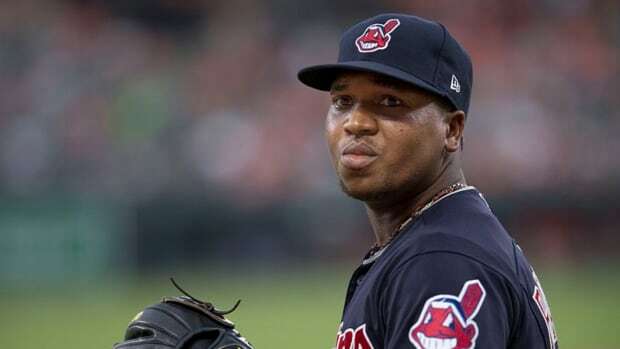 Jose Ramirez, Francisco Lindor and Jason Kipnis are all hurt. Brian Dozier got mad at the Orioles for bunting in the ninth inning. He came within three outs of pitching a perfect game. Bartolo Colon pitched all 9 innings for his first victory with the Twins. Odorizzi pitched 6 shutout innings in his debut with the Twins.